League about to expire? Send us a note and we'll help you renew. The OFFICIAL 2018 players are here! "Every single league member would like to see us continue to use the program. The comments I received were VERY positive." "Your program is the single greatest improvement to Strat leagues everywhere. My undying gratitude for making our lives so much easier at draft time." "Strat Draft makes it so much easier to run our draft & I get nothing but compliments from my league. I can't even consider having a draft without your site." "As long as drafting is done with your site, I enjoy it. Any other way is way too much trouble." Yes! Retro drafts are available! Contact us for details. Advanced enough even for salary leagues! "Thanks again for this site. 6 years and running using [Strat Draft] and it is fantastic!" 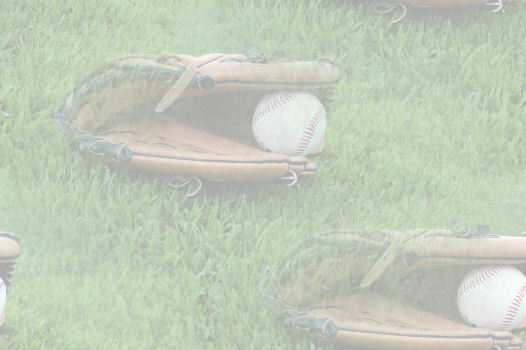 -- Noel Johnson, Greater American League --- "Your service is invaluable to draft leagues everywhere." 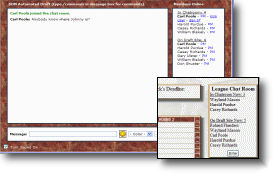 A private CHATROOM is available for each league plus more new features! "Chalk me up as a VERY SATISFIED CUSTOMER!" "This program has saved countless hours of work and helped avoid headaches. It is marvelous!" 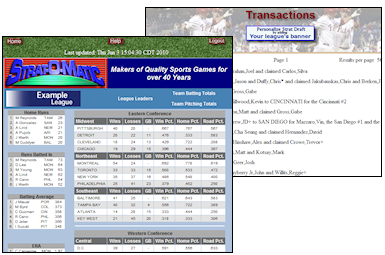 You could even use Strat Draft throughout the year as your league website! Upload your league standings and transactions. Keep the league up-to-date throughout the year. Everyone can keep track of rosters, draft picks, standings and transactions. "I have to say this is incredible! I am amazed by all the options allowed." -- Michael Liu, NASBL --- "Strat Draft is awesome!!!" This is a great tool for draft leagues. It works easily and swiftly. It communicates eligibles and selections clearly to all. And it keeps drafts moving instead of stalling for hours."